As we age, the skin on our neck begins to sag, and the muscle that holds the firm shape of a youthful neck begins to separate. 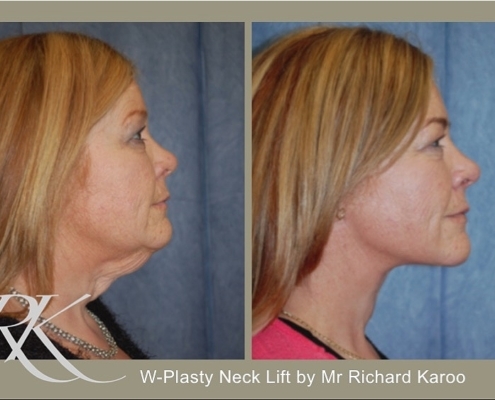 With time, this results in losing the defined jaw line and angle between the bottom of the jaw and the beginning of the neck. 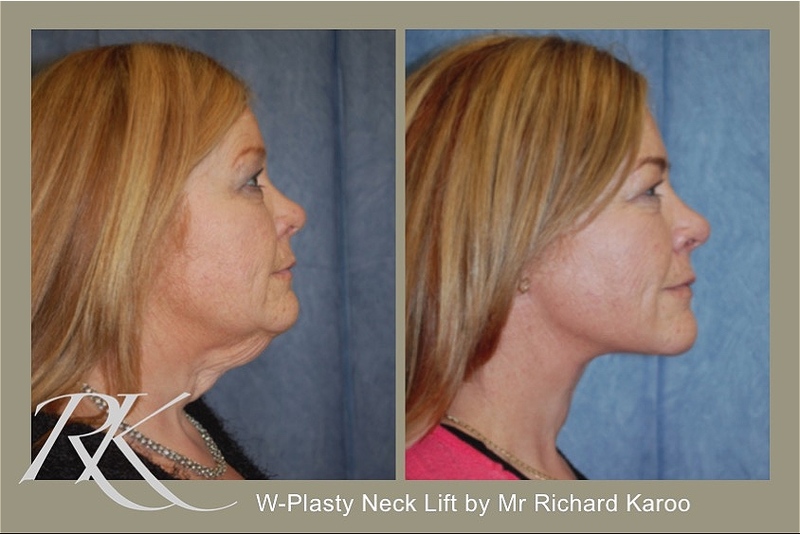 A neck lift is the perfect solution to address sagging skin, excess fat and slack muscles of the neck. 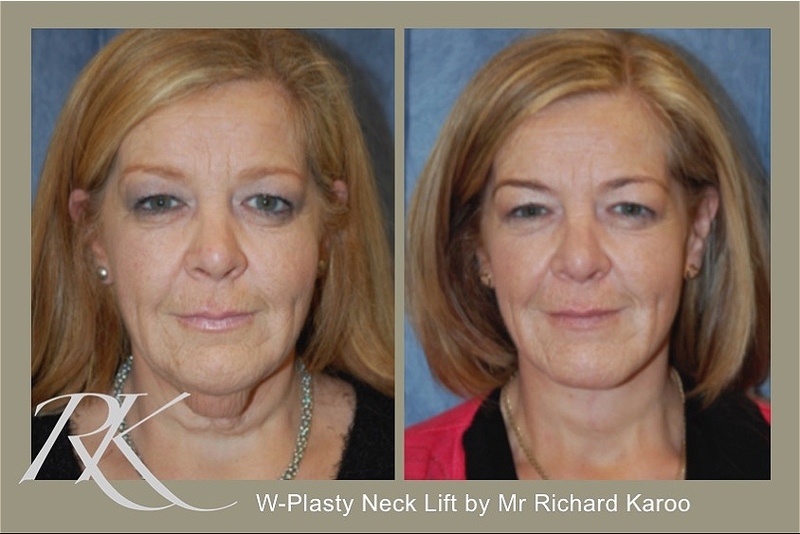 This procedure is often performed in conjunction with a facelift, but can also be a standalone procedure. 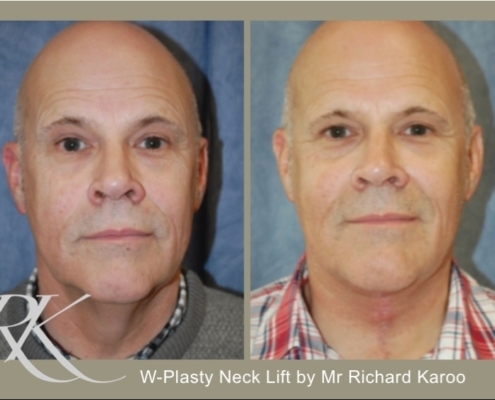 A small incision is made in the crease under the chin. 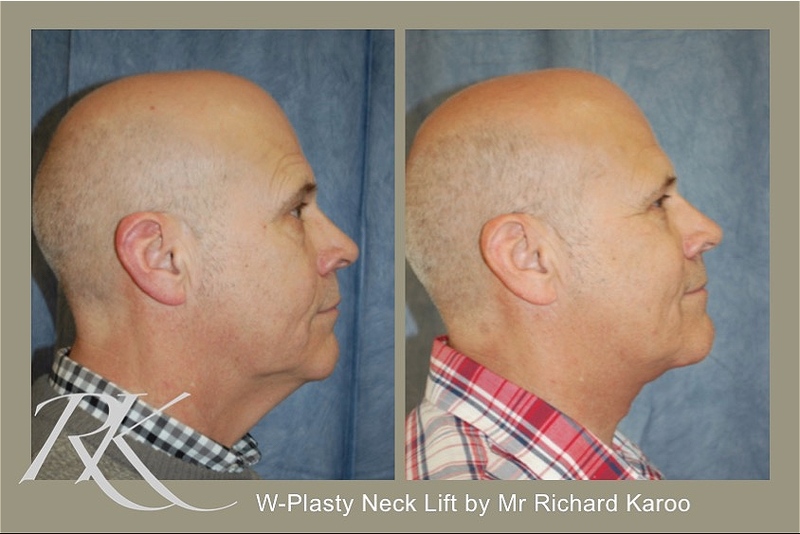 The loose muscles of the neck are tightened to restore neck contour. The skin on the neck is tightened and excess skin is removed. 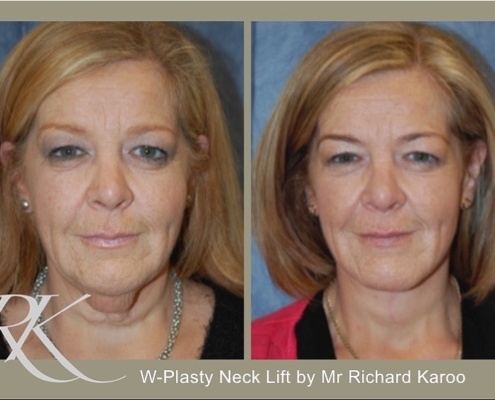 This type of surgery generally performed under a general anaesthetic. 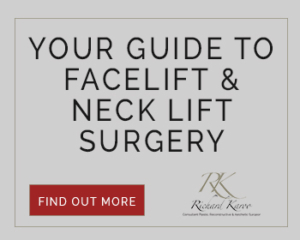 It can be performed as a day procedure; however, when combined with a facelift, an overnight stay in hospital is often preferred for patient comfort and care. 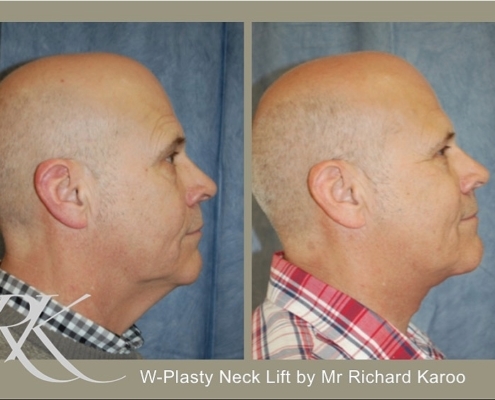 For more extensive neck laxity, a facelift incision with extension down the posterior hairline would be possibly required to address the area fully. 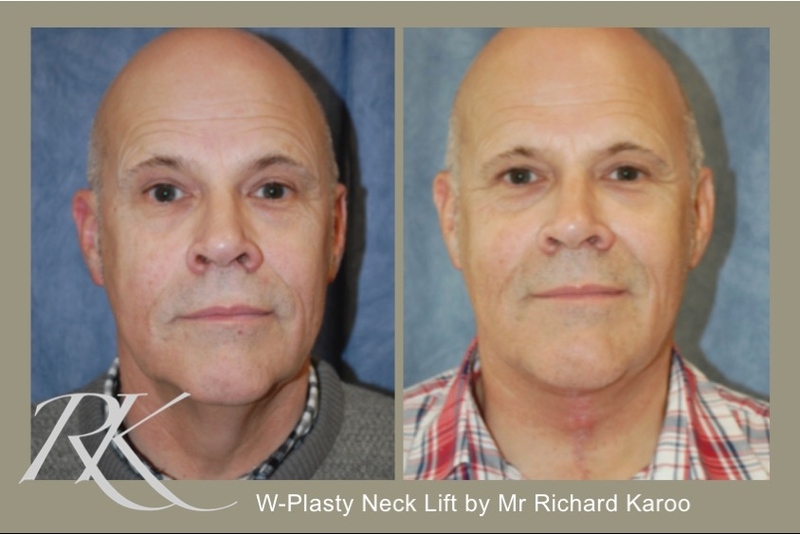 To learn more about a neck lifting surgery, and to make an appointment with Mr Karoo, please contact our practice today.